Congratulations to Taylor Henson in fourth grade and Zechariah Landstrom on being our students of the month. These two students have demonstrated great qualities on being a student at OGS. Don't forget to join us for this great even tomorrow, Thursday, April 11. Musical/Art Exhibit with a Retirement Celebration being held afterwards for retiring teachers, Sandy Erickson, Music, Marti Sullan, Art and Secretary, Karen Doughan. The Art Exhibit will begin at 6, followed by the Musical which will begin at 6:30. Our Retirement Celebration will be held afterwards serving cake, lemonade and iced tea. Please join us. 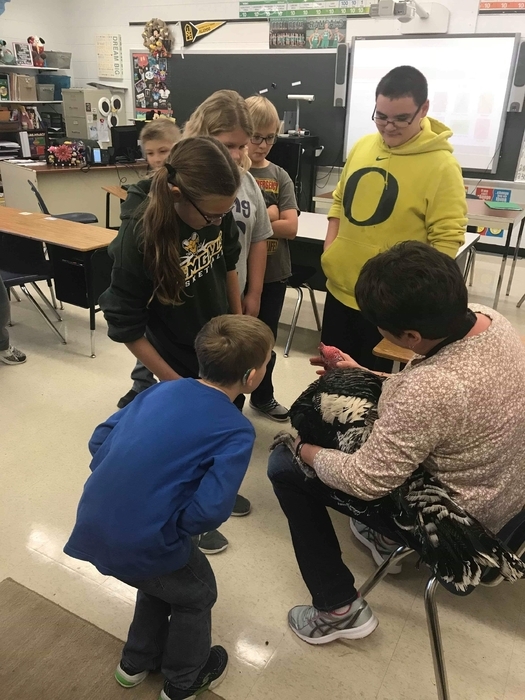 Thursday, April 11, Odell Grade School is having a Musical/Art Exhibit with a Retirement Celebration being held afterwards for retiring teachers, Sandy Erickson, Music, Marti Sullan, Art and Secretary, Karen Doughan. The Art Exhibit will begin at 6, followed by the Musical which will begin at 6:30. Our Retirement Celebration will be held afterwards serving cake, lemonade and iced tea. Please join us. Just a reminder. With warmer weather students will start going outside for PE and recess. 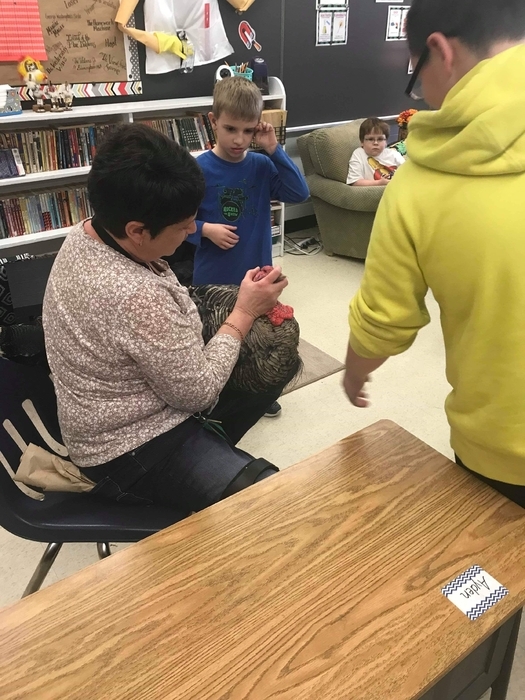 Come join us at 6:00 on Thursday, April 4th for Family Reading Night. Hope to see you there. Hope everyone had a good spring break. School is back in session tomorrow morning April 1st. Have a great spring break. We will see you back on April 1st. Please note there has been a change of date for the April School Board Meeting. The meeting will be in April 29th at 7 p.m.
Congratulations to Trinity Aull and Abi Gall. These two students won the yearbook cover contest and their drawing will be on the 2018-2019 yearbook. Jump Rope for heart is Friday Feb. 22. Mrs. Oswald is still looking for parent volunteers from 10-11, and at the end of the day 2:30-3. All fundraising is due this day as well. Spread The Word To End The Word Poster Contest. These year's theme is Rock Respect. Posters must be no larger than 12"x 22". All posters are due February 28, 2019. Reminder that tomorrow, Thursday February 7th is an 11:30 dismissal. The 100th day of school will be Wednesday Feb. 6th. Wear 100 items that day. Spring pictures have been rescheduled. They will be on February 8th. Due to the freezing temps there will be no school on Thursday January 31st. Due to the cold weather there will be no school on Tuesday and Wednesday this week. Stay warm and safe. Due to the weather conditions there will be no school today January 28th. Be safe. Due to the projected weather forecast on Tuesday January 29th, Family reading night will be cancelled. Due to freezing temperatures and bad winter weather school on January 25th is cancelled. Enjoy the three day weekend and stay warm. Due to the icy conditions school has been canceled today. School will dismissing at 12:30 due to the road conditions. There will be no afternoon pre-k.
Congratulations to the 7th grade girls volleyball team. 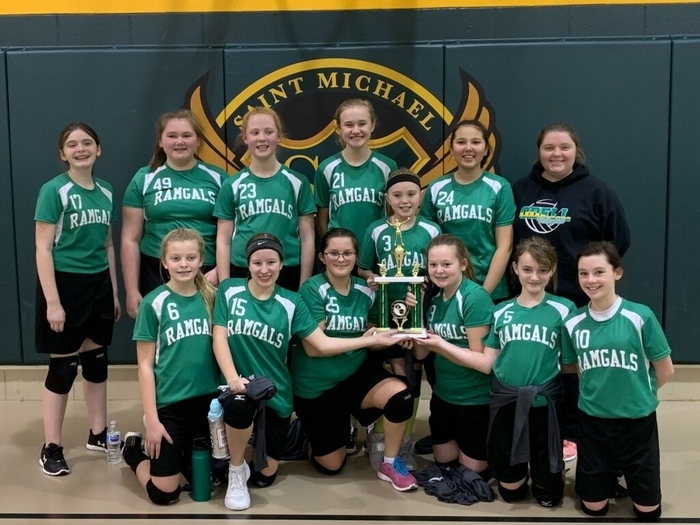 They just placed 3rd in the St. Michael-Ransom tournament. Just a reminder that there will be no school on Monday due to Martin Luther King Jr day. Enjoy your three day weekend. Congratulations to the students of the month for January. In fourth grade we have Xayden Aull and in seventh grade we have Lea Armour. Thank you to everyone that came out and supported the Unified Special Olympic team from PTHS and the Odell sports teams. It was a great turnout and a fun time. Please join us tonight for the big night of OGS sports. Volleyball starts at 4:30 followed by the PTHS Unified Special Olympics team. Then we will end the the night with the cheerleaders, boys basketball and 8th grade night for basketball. There will 50/50, raffles and a bake sale All proceeds go to the Unified Special Olympics. Hope everyone enjoyed their break. We will back in session tomorrow January 7th. Here are a few reminders. Tomorrow is pajama day and hot chocolate bar in the morning. Also we still have Candy Cane grams for sale and change wars going on. Guess How Many??? This week PBIS is having a gift card drawing. If you would like to be in the drawing it costs $1.00. The gift cards are a $15 to Subway and $5 DQ and coupons. Reminder that tomorrow night is the Winter Music program at 6:30pm. Don't forget tomorrow is Hot Chocolate Bar in the morning. Make sure to get here by 7:40 and bring your $1.00 so you get your hot chocolate. 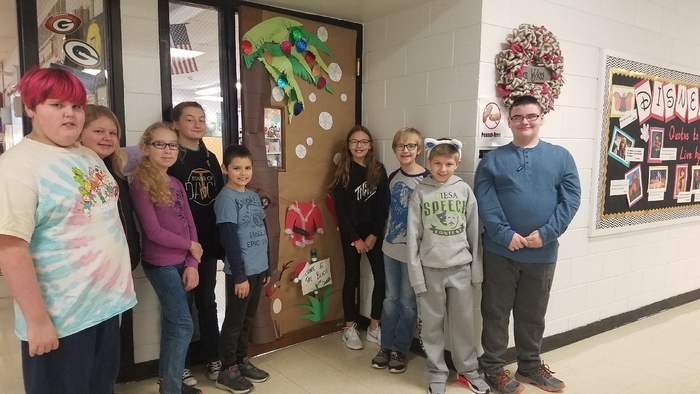 Congratulations to 5th grade on winning the Holiday door decorating contest. Way to go!!! Hope you enjoyed your donuts. Change wars for Christmas Angels will be starting again. So get that change together and send some in. This is a great fundraiser that OGS does and needs your support to make it successful. Student Council's food drive is still going through this week. Please send in some food for those that are in need. Let see how much OGS can collect. 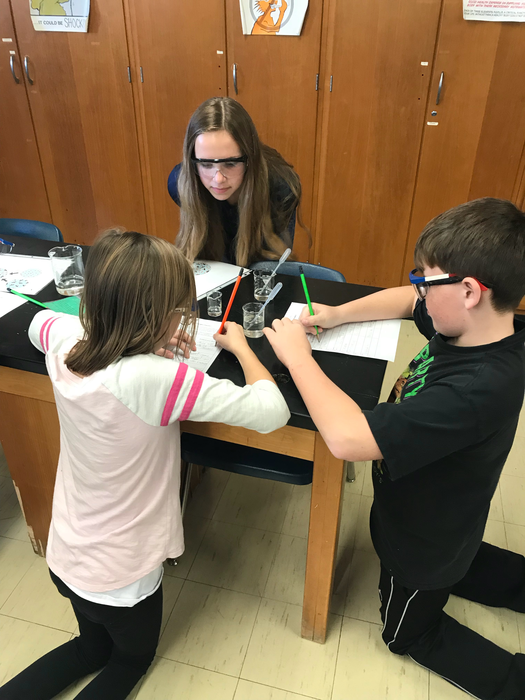 The 8th grade class has started their fundraiser for Great America! They are selling Fannie May candy bars. Please help them by purchasing chocolate bars starting today! Student Council members are collecting canned and dried food for the OGS school drive. The food drive will run December 3rd thru December 14th. Due to the hazardous road conditions there will be no school today November 26th. 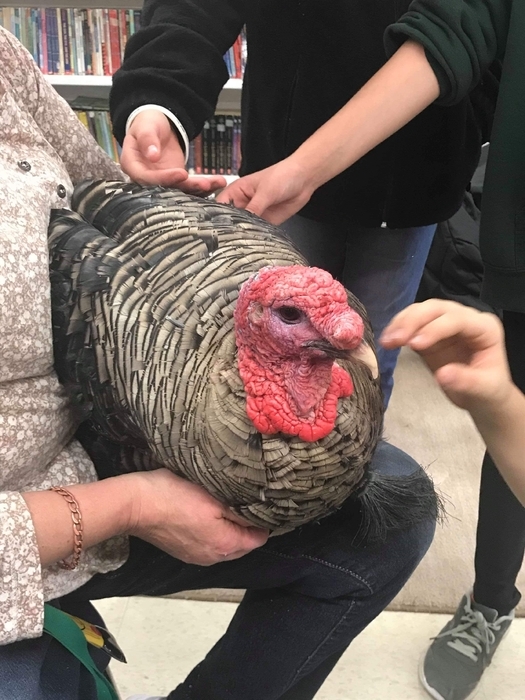 Tom the Turkey came and visited OGS today. Check out the school's new app on either the Google Play store or the Apple store. Search Odell Grade School. You can see up to date information on sports, events, lunch menus, and announcement. Check it out today. 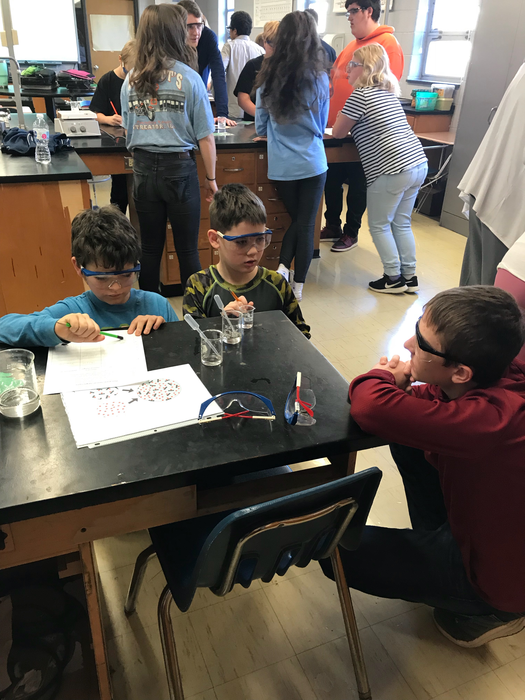 The 4th and 5th graders had a wonderful time on their science field trip to PTHS. 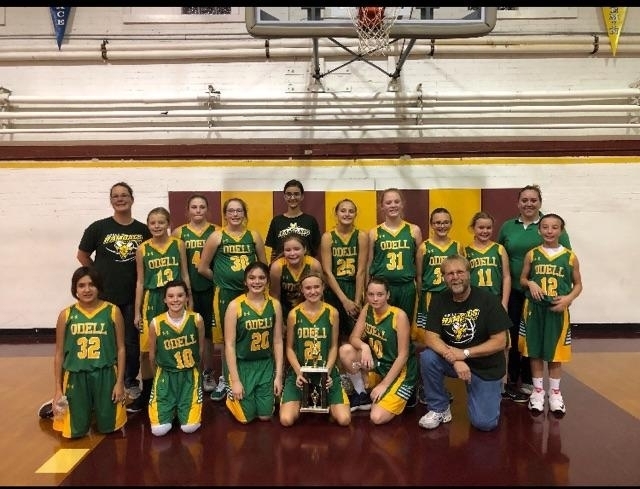 Congratulations to the 7th grade girls basketball team. They are the Vermillion conference champs. Odell won 24 to 10 vs Grand Ridge. 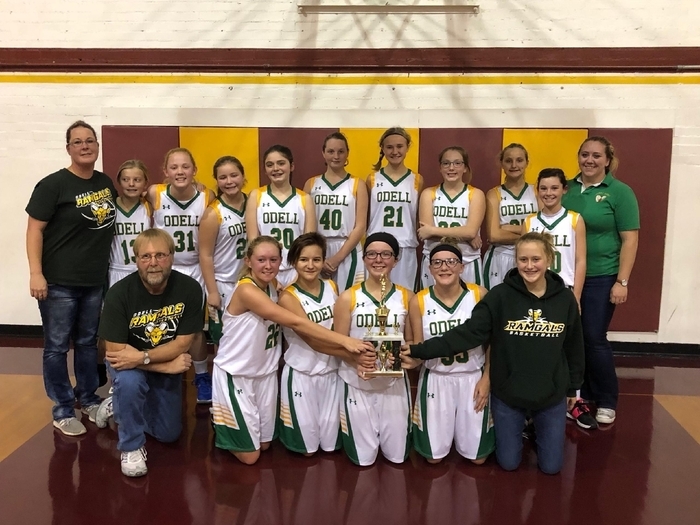 The 8th grade girl's basketball team took 3rd place in the Vermillion Conference Tournament with a 30-17 win over Tonica. Way to go and congratualtions Ramgals!!!! Congratualtions on bringing home the gold. 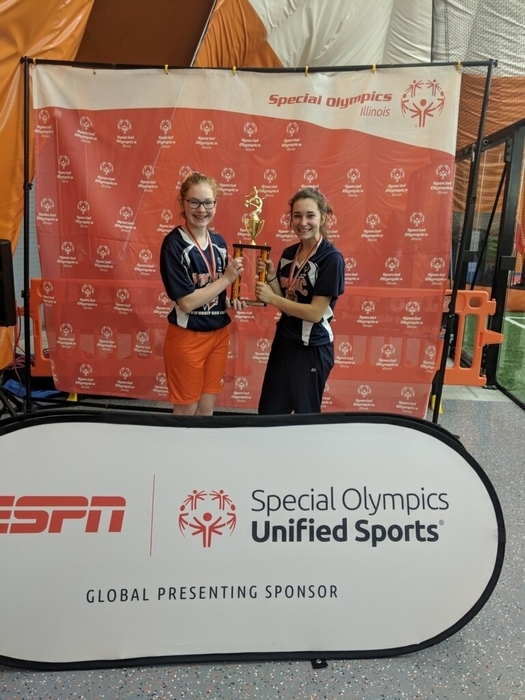 Marley Noles (OGS alumi, playing in honor of Olivia) and Christy Ahrends daughter (playing in honor of her brother) won a state special Olympic competition today. Great job girls! Reminder!! The Tabs Fundraiser orders are due tomorrow. Please make sure to turn those in. Congratulations to Reagan Voss and Alec Jewell on being October students' of the month. Also congratulations to Mrs. Hack on being the staff member of the month. Tomorrow is Halloween. The parade starts at 2pm followed by classroom parties. Please remember you still have to abide by the dress code. Tomorrow is RED OUT!!!! If your child ordered a red ribbon shirt then have them wear that . If not then wear as much red as possible. Excited to see how much red this school can bring tomorrow. Lets be on a the drug free team!!! That is our theme for tomorrow's red ribbon spirit. Wear you favorite shorts jersey or shirt. Daily announcements!! Guess How many? Bring a dollar and guess how pieces of candy are in the "SPOOK"tacular PBIS jar. The winner will be announced October 26th. The 8th grade class will be selling nachos during the 3rd-5th and 6-8th grade lunches on Thursday and Friday. Please try and pre-order your nachos. The cost will be $1.75. Tomorrow's Red Ribbon theme is put a cap on drugs. Wear you favorite hat for hat day. Tomorrow is turn your back on drugs!!! So lets wear our clothes backwards. Reminder there is no school on October 19th. Enjoy the long weekend. Also check out our new website. www.odellschool.org There will be more stuff coming along with it soon. Look out for details. Reminder!! Pay a $1.00 to wear a hat on Thursday. Student Council is donating all the proceeds to Olivia Noles. Tomorrow is our first pep rally at 2pm. We will be live streaming it on our sports live stream youtube channel. You can find the link on our website. Parent Teacher Conferences are just around the corner. Make sure to mark your Calendar. Conferences are on October 17th and 18th from 3:30-6:30. There will be no school on October 19th. Mark your calendar for Grandparent's breakfast this Friday morning October 12. Congratulations to Brianna Hilleary on qualifying for State in Girls Cross Country. Good luck at State. The TABS fundraiser has started. Please look for a blue paper in your child's folder regarding this fundraiser. The fundraiser will run till Nov. 2nd and pick up will be Nov. 19th. If you have any questions please call the school and they will guide you to the person you need to get in contact with. Congratulations to our September students of the month. 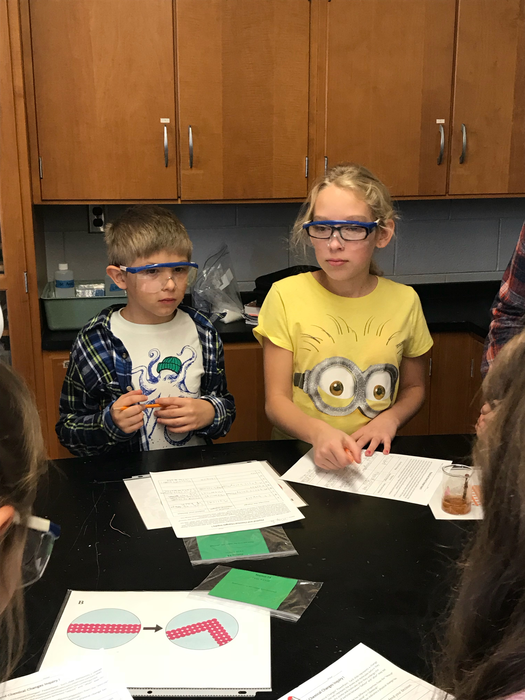 Ayden Schott is our Prek-4th grade student and Emma Reichardt is our 5-8th student. Congratulations to both of them for being great students and demonstrating what are three R's are all about.